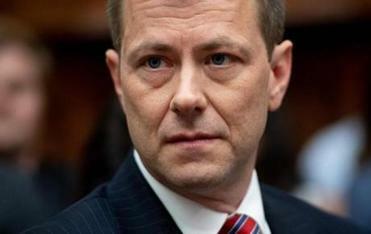 ‘‘At no time, in any of those texts, did those personal beliefs ever enter into the realm of any action I took,’’ Strzok said. He insisted under aggressive questioning that an August 2016 text in which he said ‘‘We’ll stop’’ a Trump presidency followed Trump’s denigration of the family of a dead U.S. service member. He said it was his personal view, written late at night and off-the-cuff, of ‘‘horrible, disgusting behavior’’ by the Republican presidential candidate. But, he added in a raised voice and emphatic tone, ‘‘It was in no way — unequivocally — any suggestion that me, the FBI, would take any action whatsoever to improperly impact the electoral process for any candidate.’’ Some Democrats applauded after he finished speaking. The FBI agent who oversaw the opening of the Russia investigation is defending his actions at a contentious hearing. 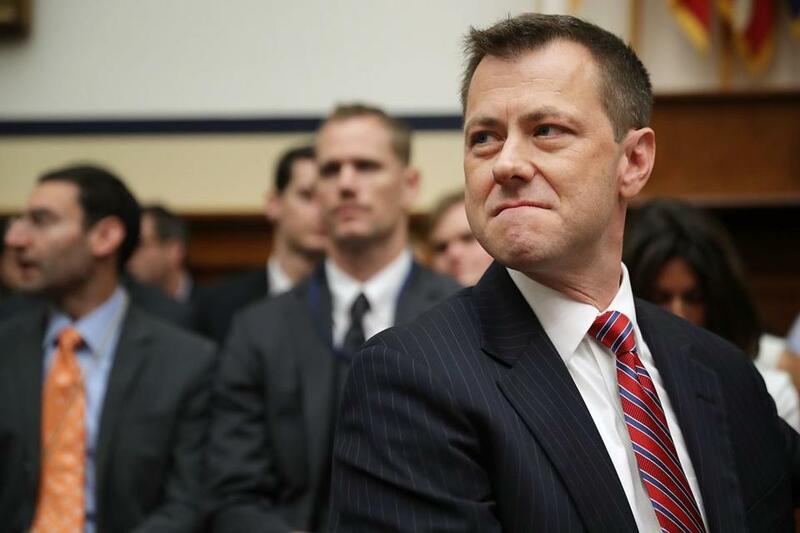 Read: Who is Peter Strzok, the FBI agent testifying before the House? Strzok acknowledged that while his text message criticism was ‘‘blunt,’’ it was not directed at one person or political party and included jabs not only at Trump but also at Clinton and Sen. Bernie Sanders. ‘‘Let me be clear, unequivocally and under oath: Not once in my 26 years of defending my nation did my personal opinions impact any official action I took,’’ he said. The contentious hearing followed hours of closed-door questioning last week. It also reflects an effort to shift attention away from the content of Strzok’s texts and onto what he says is the more pressing issue: the Russians’ ‘‘grave attack’’ on American democracy and continuing efforts to divide the country.